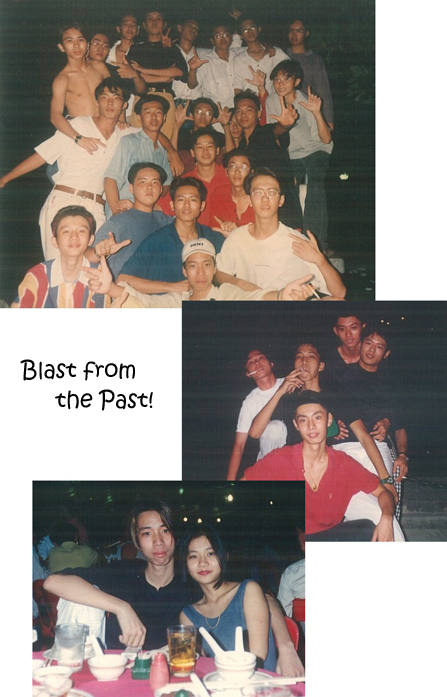 Pictures taken way back in 1995/96. wah. hairstyle quite stylo ar! wow, really beng keke… like your current look alot! 😛 but i believe back then i also same type of hairstyle (but u more “stylo” coz u dye/highlight keke..
At least Ah bengs/pai kiahs understand one thing.意气 Brotherhood first. Everything else incl chiobus are secondary. Nowadays pp in CGs have so many different motives. Some even trying to sell insurance. Jing ar geh eh? One for All, & All for one.